Altered check with OCR-A font in the Steven Spielberg movie "Catch Me If You Can"
FREDERIKSTED — U.S. Customs and Border Protection (CBP) Field Operations Officers at the Henry E. Rohlsen International Airport identified and arrested a female with an outstanding arrest warrant in Wisconsin for violating probation on forgery charges. 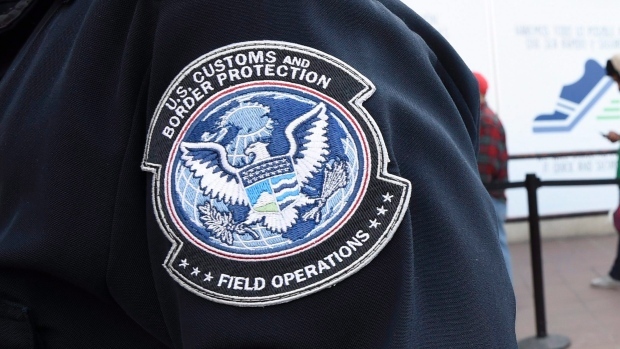 Leah Marie Peters, 42, a citizen of the United States and place of abode in Illinois, was identified after she presented herself for CBP inspection before boarding a flight to O’Hare International Airport in Chicago. Law enforcement databases alerted to a warrant issued by the Wisconsin Department of Corrections, which was later confirmed. The Virgin Islands Police Department (VIPD) assumed custody for extradition proceedings.